Four-leaf clovers, rabbit's feet, heads-up pennies — all lucky charms for many people. Another common lucky charm? The horseshoe. 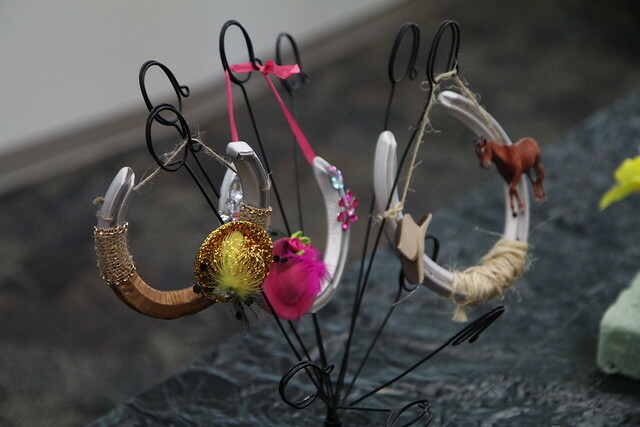 Often seen hanging over the entrance of a home, given to a newlywed couple, or, more recently, worn as jewelry, horseshoes are thought to bring good luck and protection. Over the centuries, several origin stories emerged about why people all over the world believe in the luck of the humble horseshoe. Groups will have the opportunity to decorate and take home their very own lucky horseshoe souvenir.